I am desperately in love with this album. 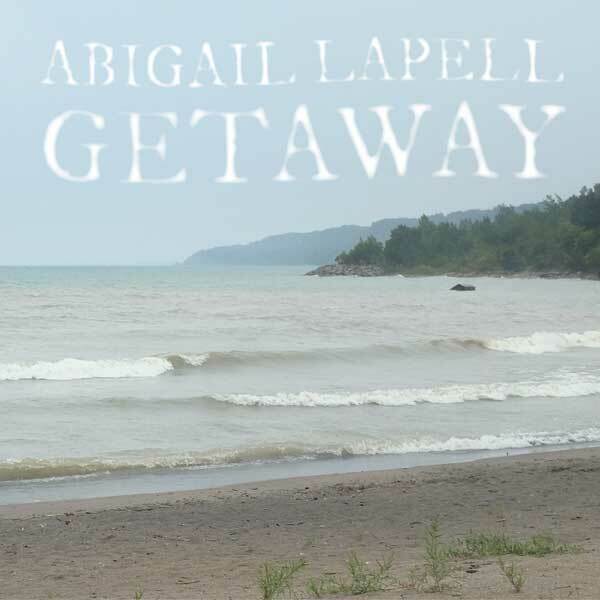 I've already added Abigail Lapell's Getaway to my album of the year list. I'm that stoked about it. Lapell's self-styled "prairie noir" has all the things that grab me about Canadian country music: a high, lonesome sound; intricate, superbly crafted lyrics; and, of course, Lapell's spare voice sounds like a thousand-yard stare. These are the traits that remind me of Mariel Buckley, Kathleen Edwards, NQ Arbuckle, even Colter Wall, to some extent -- twang with a little bit of Arctic Circle chill filtering through the recording studio's vents. Getaway is a flex, in every sense of the word. From the first tantalizing riff in "Gonna Be Leaving," Lapell casually rolls out music that feels like you've heard it somewhere -- but takes a left turn before you get to that place. It gives you the sense that Lapell has passed through the veil and is showing us glimpses of what she found about it. Sometimes that's true of her lyrics, like on "Devil in the Deep Blue Sea," but in the intimate "Sparrow For a Heart," it means a staggering display of vulnerability. As somber as some of the songs can get, though, Lapell also has fun -- "UFO Song" takes on a gothic tinge, though the subtly glitchy electric guitar is a perfect sci-fi touch. "Down By the Water," a much lighter song, hits the ideal sweet spot between whimsical and genuine contentment. No matter what emotion Lapell gets out, her songs unfurl with a feline grace that will always surprise and please you -- even if, like me, you listen to Getaway dozens of times in a five-day period.